THE PRINCE'S TRUST ACHIEVE PROGRAMME in Scotland helps teenagers to develop skills and confidence in preparation for future employment, by undertaking projects in partnership with local organisations. 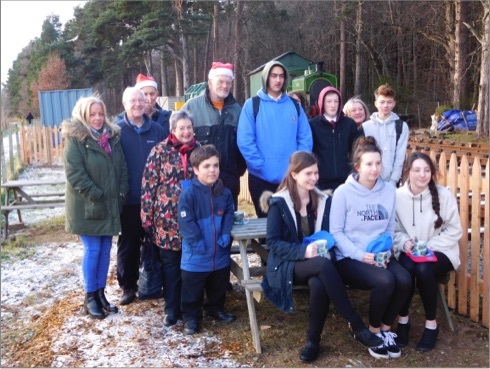 Students from Banchory Academy have been busy working to provide a new picnic area at the Royal Deeside Railway at the Milton of Crathes, Aberdeenshire. Project Manager Bill Halliday from the railway gave a few words of thanks to all concerned for their work and commitment to achieve a very fine result. 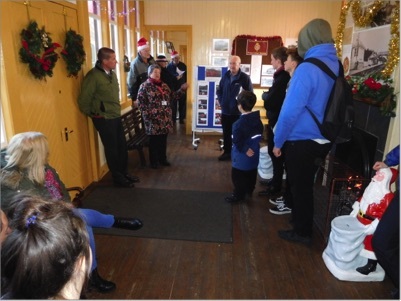 He also read out a letter from the Duke of Rothesay (Prince of Wales) in which the Prince offered encouragement to the younger members of the community to achieve the self confidence and interpersonal skills that involvement in projects like this can bring. 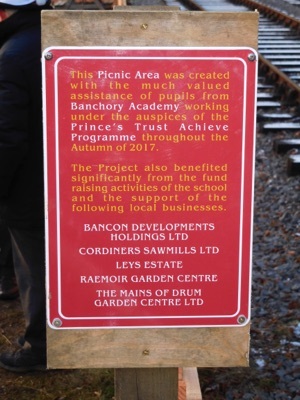 There was then a site visit to view the completed project which was an excellent example of the high standards that can be achieved by a dedicated group of teenagers. The location to the west end of the Milton of Crathes station platform, was an area of disused ground that had been overtaken by nature over the years. 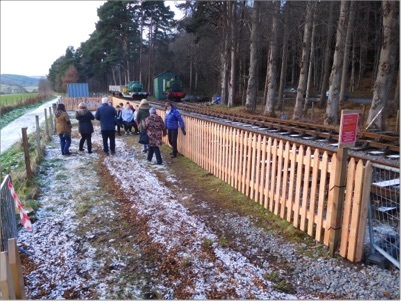 The volunteers have been busy clearing the site, removing existing fencing, levelling the ground, installing new fence posts and picket fencing. 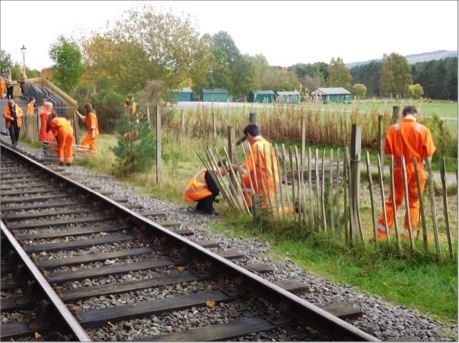 Further work will entail constructing picnic tables, planters and other railway themed furnishings. 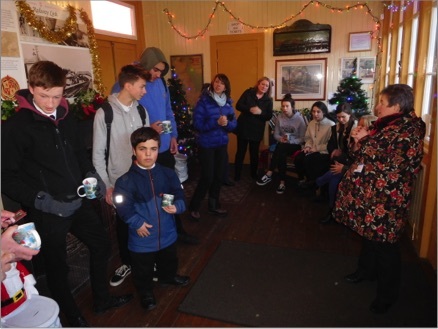 The fencing phase is now over and a small ceremony has been held in the station building with the teenagers and railway volunteers to celebrate the milestone. 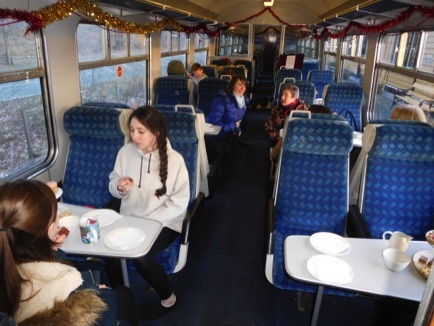 The final part of the day was refreshments in 'Birkhall', the coach recently restored by railway volunteers following the most generous donation from the Duke of Rothesay. A short train ride down the line then completed a most happy and satisfying day for all concerned.